Item 14308 White Sweet Heart Children's Pedestals. 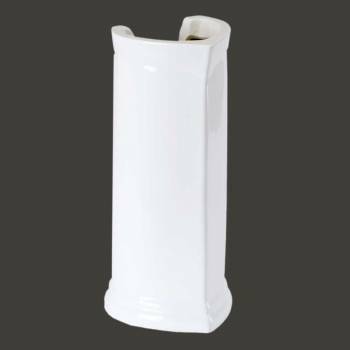 White Color made of Vitreous China material. A Beautiful Pedestal for Sweet Heart Children's Basin. Renovator's Supply's Sweetheart Pedestals creates a safe, functional environment for your kids. Measures 16" height.